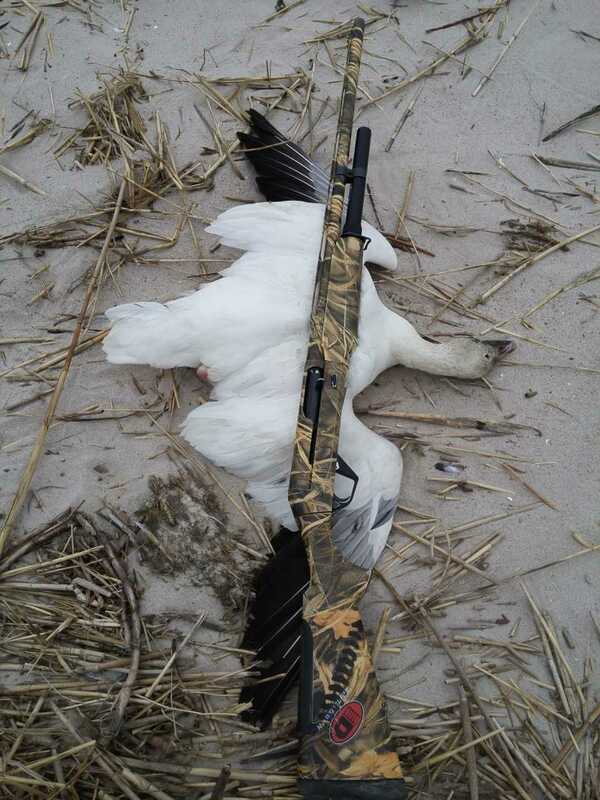 George Horvath takes a greater snow goose the evening of the last day of the NJ Spring Snow Goose season at Delaware Bay, NJ, 4/7/2018. 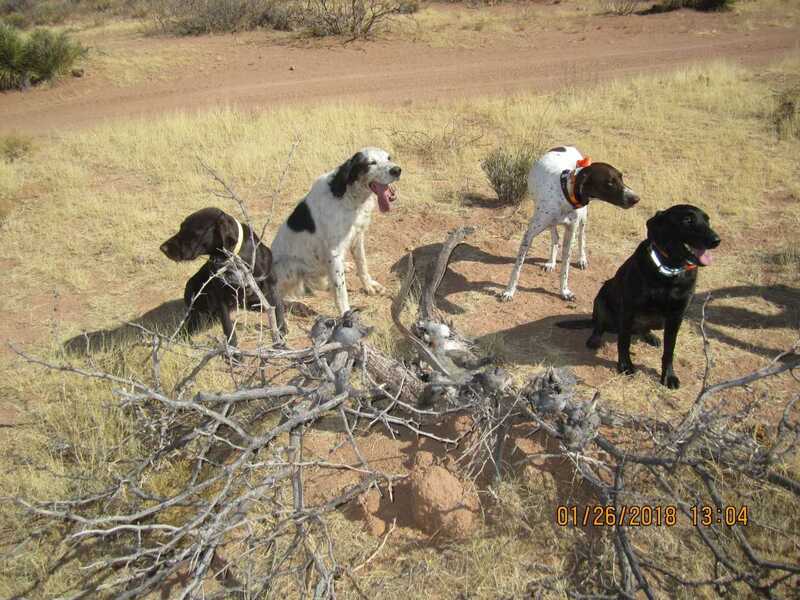 Wayne Wilson’s GSP Abby and other hunting friend’s dogs are all enjoying a successful day with Gambels Quail in New Mexico. 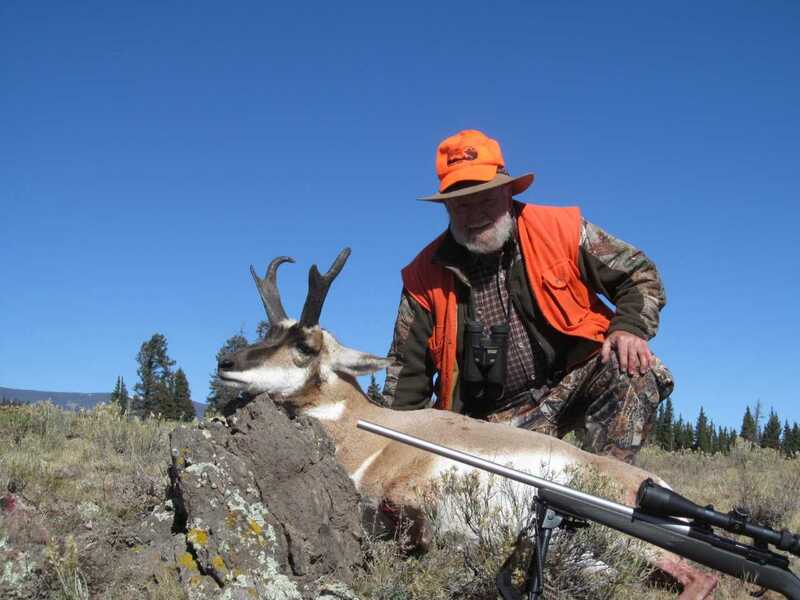 Tom White took this antelope buck in southern Colorado in October 2017. 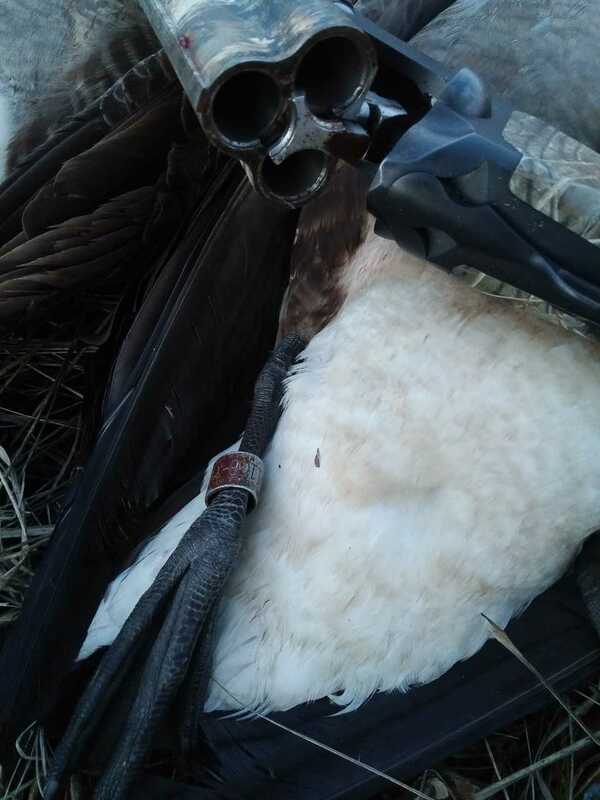 George Horvath took 80 waterfowl, including 3 banded birds (like this Canadian goose), this season in NJ. He now has 243 bird bands! 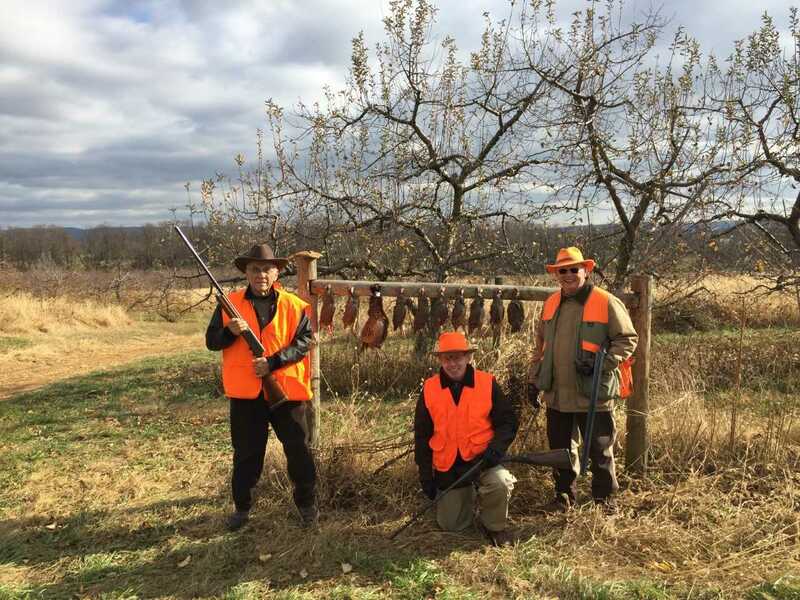 Mr. Horvath says that his new Chiappa camo 3.5″ magnum shotgun (also shown here) worked great. 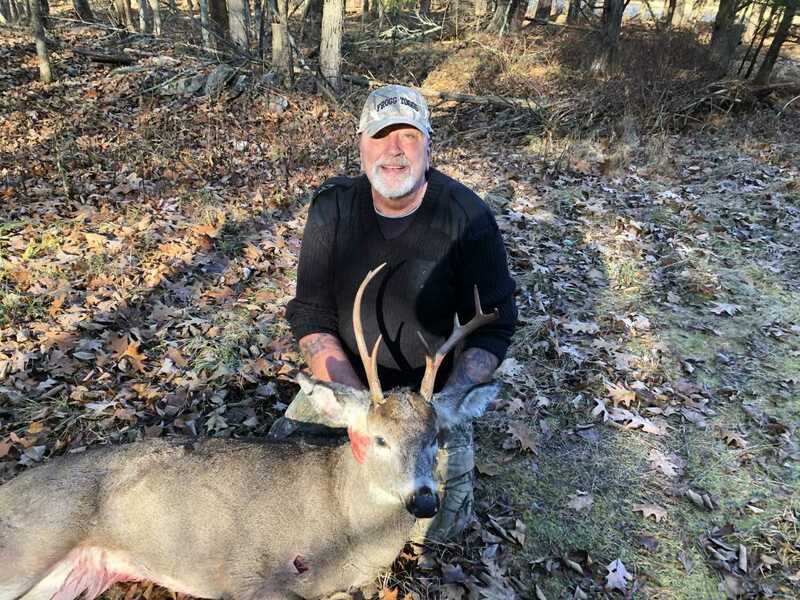 Michael Forsythe took this buck in Dec 2017. 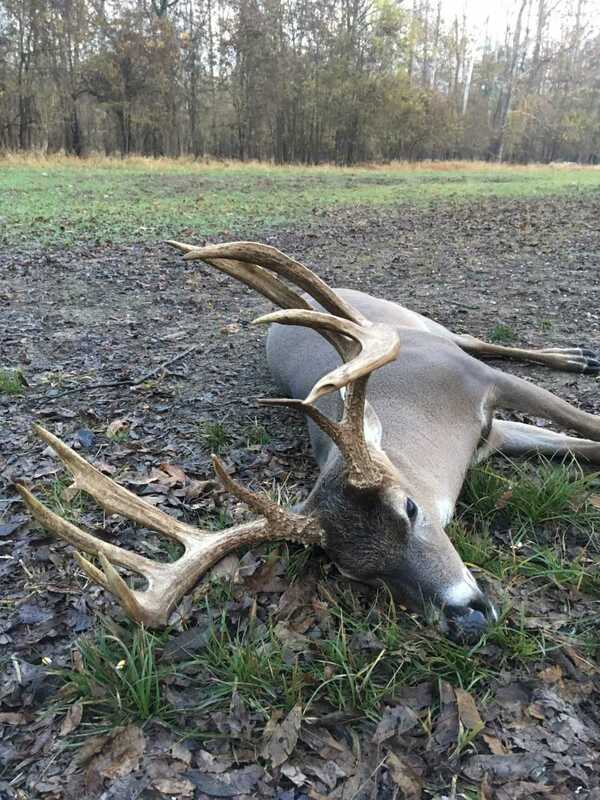 Mr. Forsythe says it was taken at 180 yards on a friends no-fence property in NE Louisiana and scored 179. 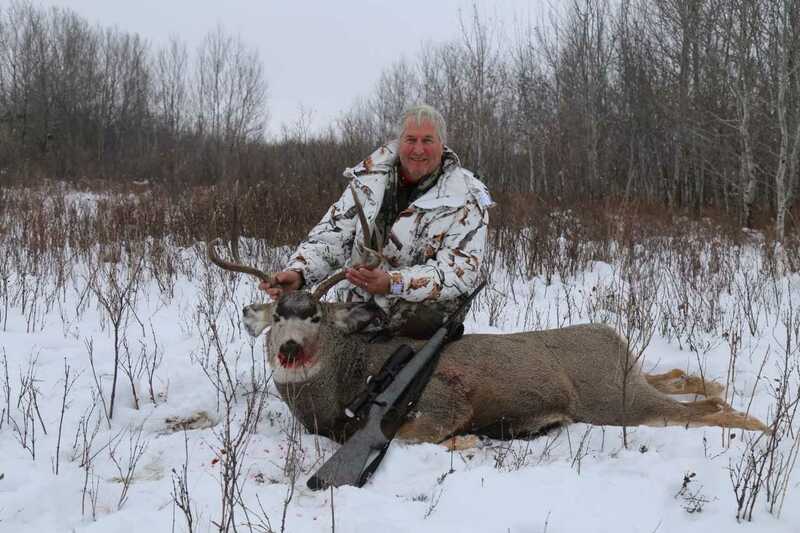 Robert Kearns Takes Saskatchewan Mule Deer. James Hubbard and his hunting buddies pictured here after a successful day in the field. 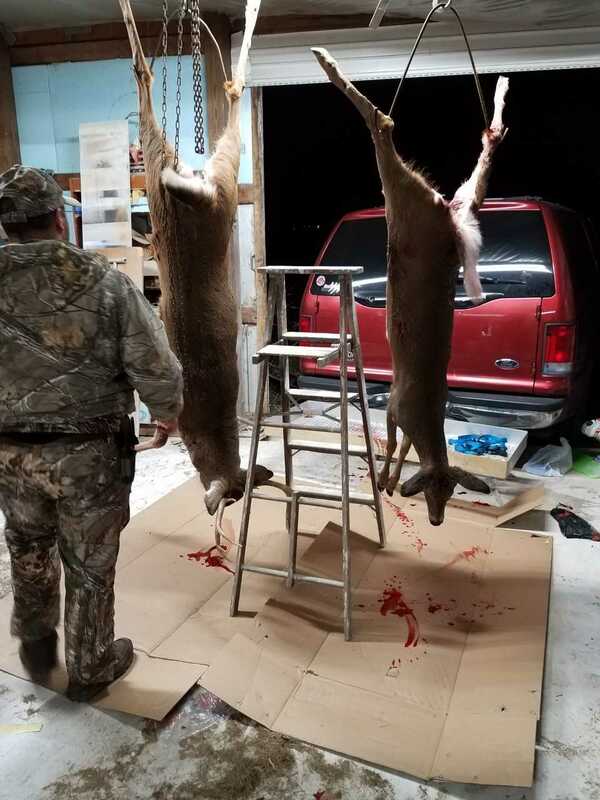 Roger Herin’s granddaughter, Melissa, got her first two deer during Missouri’s early youth season! 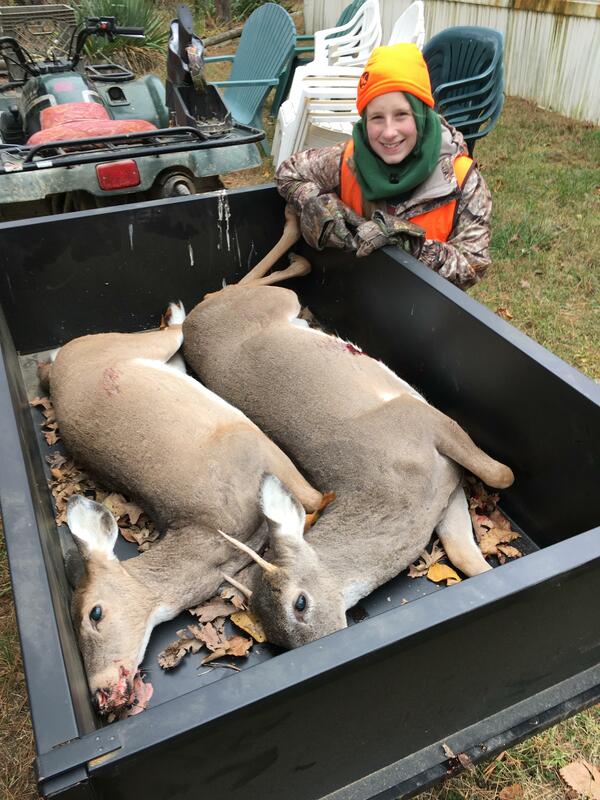 She shot a Savage Youth Model 11 in .243, using Hornady American Whitetail ammunition. Way to go Melissa!